Dubai, United Arab Emirates: The global drive towards mitigating climate change presents clear challenges for business; however, there are opportunities on the horizon, said speakers at the 3rd Sustainability Conference in Dubai. Hosted by the Gulf Petrochemicals and Chemicals Association, the forum gathered industry experts from the downstream sector, government officials and global consultancies to discuss the latest developments related to the subject. Al-Ohali highlighted the fact that all six GCC states have national visions that cover major themes related to diversification, education, capable national workforce and climate change mitigation. From the regional leadership’s perspective, climate change is a top priority, according to a senior government official. 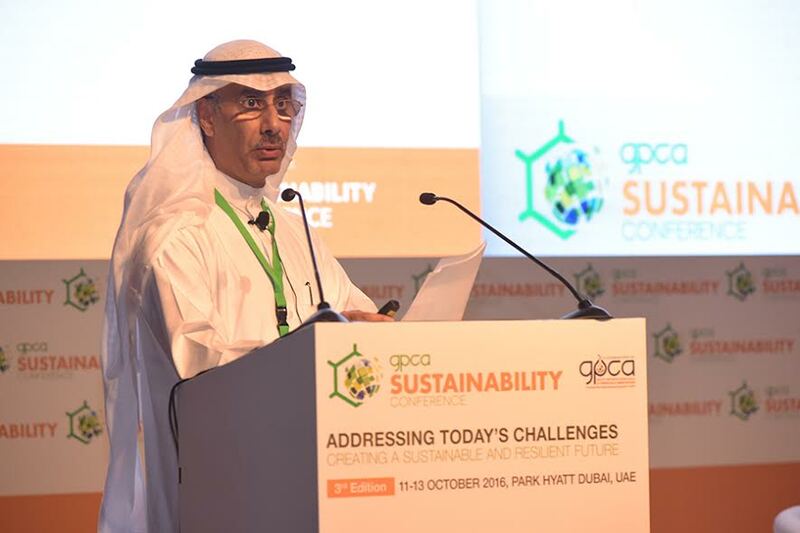 During the Sustainability Conference, the GPCA released their annual Responsible Care Metrics report, which measures health, safety and environmental (HSE) indicators across the GPCA’s member companies. According to the Responsible Care metrics report, GCC companies have reduced their total energy usage, from 63.01 million tons of fuel equivalent in 2014, to 36.66 million tons of fuel equivalent in 2015. While this is a positive development, metrics related to carbon emissions show a slight increase in the same period, meaning that more work needs to be done to mitigate the impact of greenhouse gas emissions. The Gulf Petrochemicals and Chemicals Association (GPCA) represents the downstream hydrocarbon industry in the Arabian Gulf. Established in 2006, the association voices the common interests of more than 250 member companies from the chemical and allied industries, accounting for over 95% of chemical output in the Gulf region. The industry makes up the second largest manufacturing sector in the region, producing over US$108 billion worth of products a year.